LifeSpan, established in 1945 in Hamilton, OH, is a private, not-for-profit organization that seeks to improve the lives of individuals, families, groups, and schools by offering a range of innovative, cost-effective programs. LifeSpan's programs reach thousands of people of all ages, backgrounds and income levels across southwest Ohio and beyound. SOme of its services include: elderly services; coaching and financial wellness; school based support services; etc. Belcan, LLC is a global supplier of engineering, supply chain, technical recruiting and information technology services to customers in the aerospace, defense, automotive, industrial and government sectors. Squire Patton Boggs is a full service global law that provides a range of legal advice to resolve disputes and counsel governments on privatization of whole industries and on establishment of regulatory systems. The firm has a diverse mix of clients, from individuals to local and national governments. With offices in 20 countries on five continents, Squire Patton Boggs does legal practice in markets where its clients need most. Sodexo is a French food services and facilities management company headquartered in the Paris suburb of Issy-les-Moulineaux. MacAulay-Brown provides intelligence and analysis, cybersecurity, engineering, information technology, and other security services to The Department of Defense, Intelligence Community, Special Operations Forces, Homeland Security and Federal Agencies. The company has its Corporate Headquarters in Dayton, Ohio and National Capital Headquarters in Vienna, Virginia, and its more than 1,500 employees worldwide help to solve the Nation's most complex National Security challenges. TestAmerica is the leading analytical laboratory for environmental testing services in the United States, with over 70 locations nationwide. anticipate facing in the future. Sogeti, a fully-owned subsidiary of the Capgemini Group, is a Technology and Engineering Services company that specializes in Cloud, Cybersecurity, Digital Manufacturing, Quality Assurance & Testing. It has more than 25 000 professionals in 15 countries and a strong local presence in over 100 locations in Europe, USA and India. Sogeti USA LLC was founded in 1967 and is based in Dayton, Ohio. BakerHostetler is an American law firm founded in 1916. At Leader Engineering, our engineers have the experience and creative mindset to design and build problem-solving machinery and tooling. We are committed to providing best-in-class technology to help clinicians accurately diagnose breast cancer through our Mammotome's Breast Biopsy Solutions, Gamma Detection Solutions, Lesion Localization Solutions and Sentinel Lymph Node Biopsy solutions. The Community Bank will be focused on growth and serving our communities, customers and shareholders. A business decision insight firm bringing passion, creativity, and flexibility to address clients' ongoing business challenges. First Transit is a United States-based subsidiary of FirstGroup. AMG is a full service engineering consulting firm that provides hands-on, client-focused design and engineering services to chemical processing and related heavy industrial segments. Founded in 1980, AMG has delivered a number of successful projects and earned the trust of clients. Licensed in 30 states, the company has 4 established locations, and over 50 employees. The Lakewood City School District is a public school district comprised of seven K-5 elementary schools, two middle schools (grades 6-8), one high school and one community charter school. The District not only provides educational opportunities for students but also an environment where students can explore beyond the classroom walls. The District is continuously improving its facilities and is even known to have one of the best school facilities and technological support in the area. GBS Corp is a leading information solutions provider that improves processes for their clients by enhancing their productivity. Wood + Lamping LLP is a full-service law firm in Cincinnati, Ohio. We provide legal services to businesses, nonprofit organizations, municipalities, and more. Taft Stettinius & Hollister, commonly known as "Taft", is a United States law firm with offices in Cincinnati, Cleveland, Columbus, Dayton and Delaware, Ohio; Chicago, Illinois; Indianapolis, Indiana; Covington, Kentucky; Ann Arbor, Michigan; and Phoenix, Arizona. We Promise to: Settlers bank will be the first choice for small to mid-size businesses and consumer households. Be Accessible We will achieve and sustain this by building relationships based on being available and convenient to our clients, delivering personalized service with professional expertise, and providing access to decision-makers and leading technologies. Offer Solutions Our goal is to realize the greatest benefit for our shareholders, employees, and clients. Build Relationships. UroGPO is the first and largest urology-specific group purchasing organization (GPO) in the U.S. We're comprised of 500+ of the most progressive independent urology practices in the country. We build value. Entrepreneurial firm helping companies design & launch products people love. Roman Catholic Parish in Findlay/Hancock Co. Ohio. Downing Exhibits was founded in 1972 as a Cleveland-based exhibit design and fabrication company. The company provides trade show exhibit solutions for large and small companies such as strategic planning & creative collaboration, design & fabrication, show services, and rentals & portable solutions. In 1995, the company opened its facility in Akron, OH. Glenmary Home Missioners (also known as The Home Missioners of America Inc.) is a Roman Catholic religious institute of priests and brothers that work with lay coworkers to serve the spiritual and material needs of people in rural parts of the United States. Glenmary was founded in 1939 as a society of apostolic life. At Keis George, we have the resources to confront complex subrogation claims, provide highly personalized attention, and offer a competitive fee structure throughout the United States. Support and services for a lifetime of success for individuals in Miami County, Ohio, with developmental disabilities. Milford High School is a college preparatory, public high school in Milford, Ohio. It is the only high school in the Milford Exempted Village School District, the largest building of the district's eight school buildings, and the largest high school in Clermont County, Ohio. The high school and the Milford Exempted Village School District serve the City of Milford, Miami Township, Miamiville, and parts of Goshen Township and Union Township. Alexander & Associates has been a distinguished and experienced leader in special machine design and technical services for over 70 years. At Sutton Bank we strive to help our customers reach their financial goals while aiming to be the top bank of choice within the communities we serve. ARC Abrasives, Inc. is one of only two SURFACE CONDITIONING manufacturers in the U.S. From our own in-house material, we produce all forms of products. The nation's premiere source of information for compliance with laws on government ethics, pay-to-play, lobbying, and political contributions. Since becoming employee-owned in 1990, Messer has invested more than $17.5 million into making our communities better places to live, work and raise families. Rimrock Corporation supplies user friendly, yet cutting-edge total automation technologies and designs that assist our customers in producing value-added products. 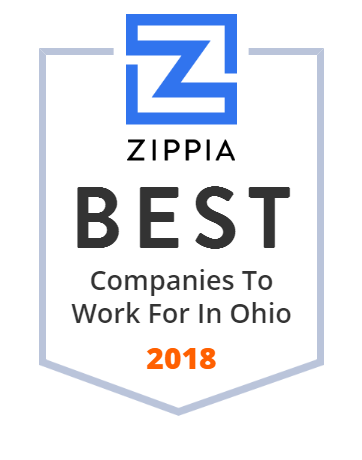 Calfee, Halter & Griswold LLP is a full-service corporate law firm with more than 160 attorneys located in Cleveland, Columbus, Cincinnati and Washington, D.C.
A Cleveland accounting, tax and advisory firm that helps businesses, nonprofits and individuals build and maintain their net worth. Contact us today! Richwood Bank is an independent, full-service community bank in Ohio. We're real people who really care. Contact us at 1-888-943-2317. Hixson Architecture, Engineering and Interiors specializes in corporate and manufacturing workplaces. THE Private CRE investment option for fiduciaries. Health Design Plus is an innovative 3rd party administrator & population health management company for self-funded employers of all sizes. Call us today! As one of the top staffing companies in the country, Staffmark finds jobs for people every day. Looking for work? Let us help. Put our team to work for you! ONEIL technical manuals and online resources will increase your ROI while maximizing parts sales and brand loyalty with your customers. Allergy & Immunology Health Services provides the best possible medical care to Allergy, Asthma and Immunology patients. Its services include: Shot Therapy; Stinging Insect Allergies; Biological Drug Treatment; Vaccinations; Asthma Diagnosis & Management; Non HIV Immunology & Immunodeficiency; and Pulmonary Function Testing. Its physician - Dr. John Panuto - been voted by his peers as one of the best Allergy & Immunology physicians in the "Best Doctors Cleveland" August 2018 magazine. Based in North Olmsted, OH, it also has facilities in Middleburg Heights and Elyria.